Duchess arrived at the yard in July 2013 aged 7yrs with her little yearling filly in tow which Gloria was definitely not keeping. She is a super kind mare but is a little nervous to handle and is used for our more experienced riders. 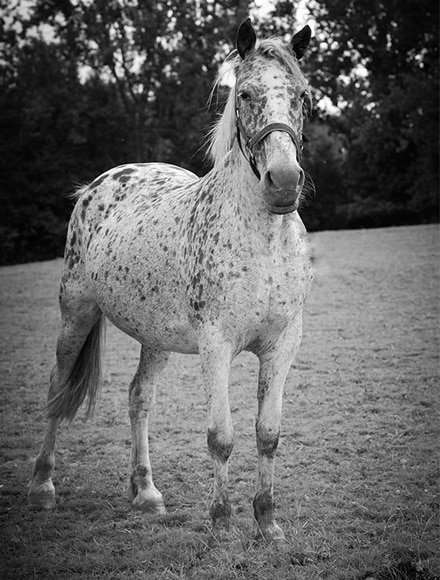 She is a pretty leopard spot appaloosa standing 15hh and is an excellent hack. The foal, Mistral, remains at High Beech Riding School and has grown into a confident mare who is being backed and trained to be used in the school.